Freewill Vs Environmental determinism; Behaviourism in focus. Was B.F. Skinner the ultimate Bond Villain? Everything that you do has been shaped and manipulated by your surroundings. The people you have met, the house you have lived in the school you went to further carves you in to the person that you are from the raw untarnished material of your first day as a child, every subsequent day has been another day of losing yourself as you become further immersed into a world that you have no control over and simply takes its toll on any notion of self. 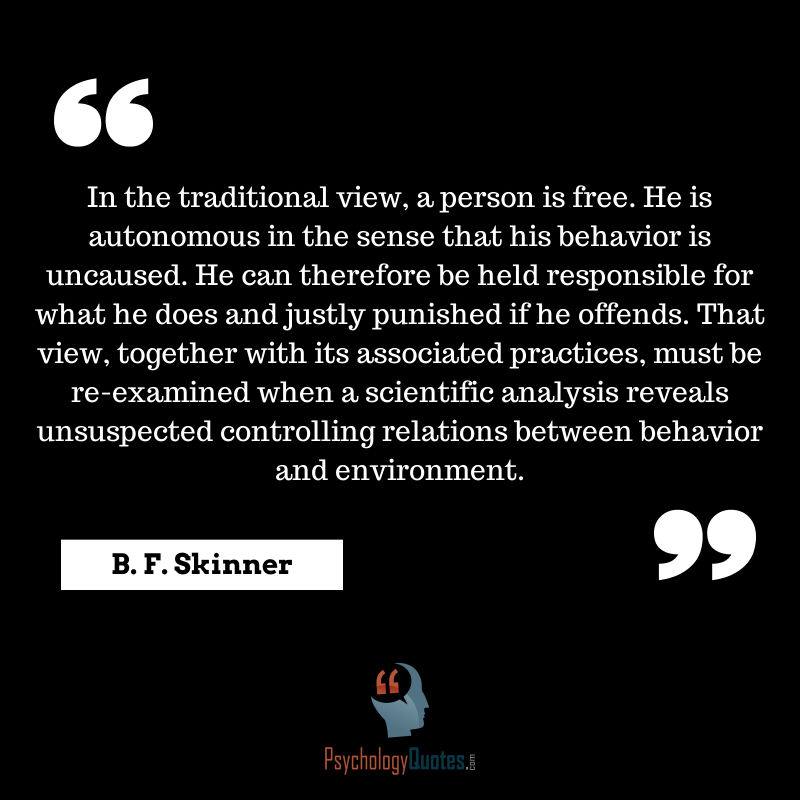 A rather dystopian view accepted, however this is a world that Behaviourists such as Skinner believed in essence, to be true. In fact Skinner argued that the the world should be shaped by expert psychologists who have an understanding on how people will respond to it. Skinner – the ultimate Bond Villain. Chomsky however had other ideas…. The great Paul Bloom dissects the Behaviourist perspective. If you are going watch one video on Behaviourism – this is the one.